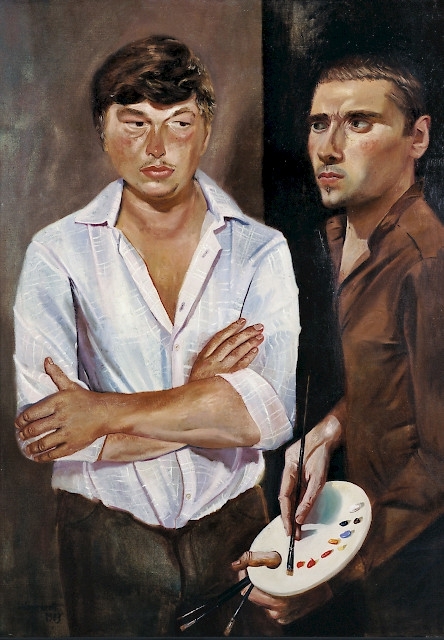 Artists in the GDR were caught between providing a role model and retreating into seclusion, between operating within a prescribed collective and pursuing creative individuality. How did they reflect the way they saw their profession and their own take on the official mission to educate the public? This exhibition brings together self- and group portraits, role projections, and studio scenes to illustrate the critical gaze they turned upon themselves.